Rise and shine, Flash Squad! Finding it a little harder to crawl out of bed this time of year? Between the change in temps, the change in skin texture and the change in daylight hours—we can all find it a bit challenging to get ready some mornings–especially during the holiday season. That’s why we’re sharing our slow morning beauty secrets for a minimal beauty routine that you can total ease into any day of the week. Trust us, we are all about simplifying our routine to obtain maximum results in the least amount of time. So for both lazy days and the all-too-frequent hectic ones, we like to stick to this skincare routine because it works hard to free up precious time when we need it most. For starters, slower mornings for us begin with using less makeup and focusing on better skin care absorption thanks to our patented, at-home dermaplaning system. 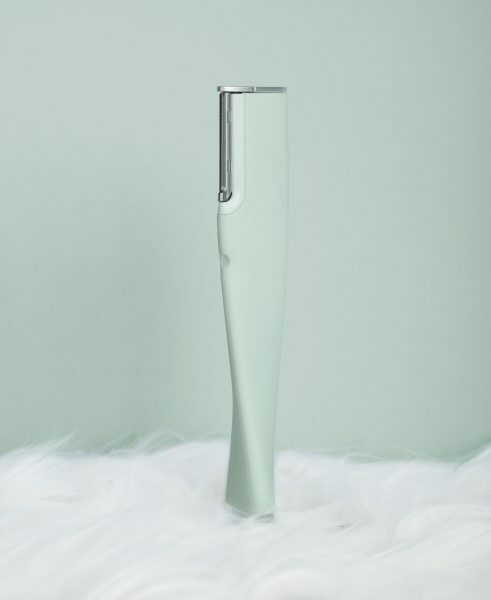 Once a week, we begin our day with our favorite DERMAFLASH 2.O LUXE device to remove unwanted dead skin cells, unsightly stray hairs and peach fuzz, dry skin and built-up debris. This first-step exfoliation process awakens our skin—allowing for soothing hydration to properly melt into our skin. Optimal skincare absorption is paramount in the winter to prevent dry flaking skin. As our founder Dara Levy and other beauty leaders can agree—dry, cracked skin can lead to early lines and wrinkles, so it’s important to not only moisturize, but have that moisture be properly absorbed in the skin. We strongly believe that flashing with our award-wining face exfoliator is a beauty principle that can free up time and counter space because you’ll have less need for multiple products and your skincare will work better. To refresh our faces in a hurry, a fan favorite among the DERMAFLASH team is hydrator and toner in one, Herbivore’s Rose Hibiscus Hydrating Face Mist. Infused with pure plant extracts and the reclaiming youth power of hibiscus flower, we instantly feel as a fresh as a garden rose with just one spritz. If extra moisture is needed we like to revive our skin with a hydrating serum. One worth its social shares is Drunk Elephant’s C-Firma Day Serum as it firms and protects against free radicals. We also love how the dry finish allows for immediate makeup application. 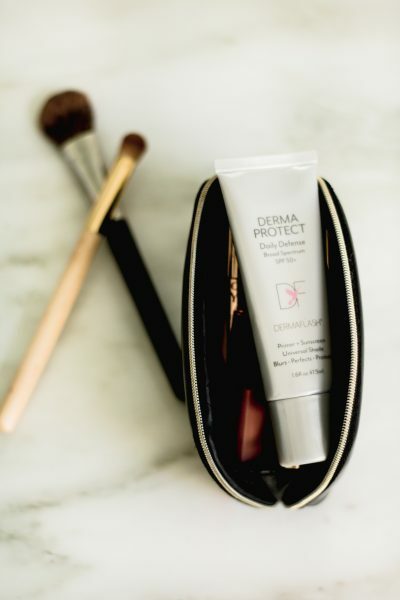 If you’re heading out for the day, just smooth on a tinted moisturizer like DERMAPROTECT Daily Defense SPF 50+ or Suntegrity 5-in1-Broad Spectrum SPF 30 for equal parts protection and coverage, and a dab of Glossier’s Cloud Paint on the cheeks for a quick flush of color and a super fun and easy glossed out lip like Glossier’s Lip Gloss. We love it because its super wearable and ultra feminine giving our face that enviable, understated polished pop of sheen. What is your favorite slow morning beauty routine? Share your habits and product faves with us below. And as always, don’t forget to follow us on Instagram for more time-saving beauty tips and tricks.